A BEST-SELLING CLASSIC: This stylish crossbody bag is packed with features that make it easy to stay organized, making it a fan favorite for all! STAY ORGANIZED ON-THE-GO: The Bailey features a main interior compartment with 2 slip pockets, 1 zip pocket, pen loop and key clasp. Bailey also features two front exterior zip pockets and one back exterior magnetic snap pocket. 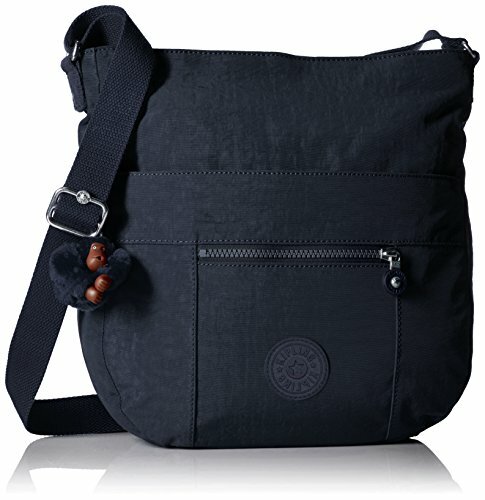 DURABLE AND LIGHTWEIGHT: Weighing only 0.8 lbs while sporting impressive water resistance is just another hallmark of Kipling's commitment to quality.